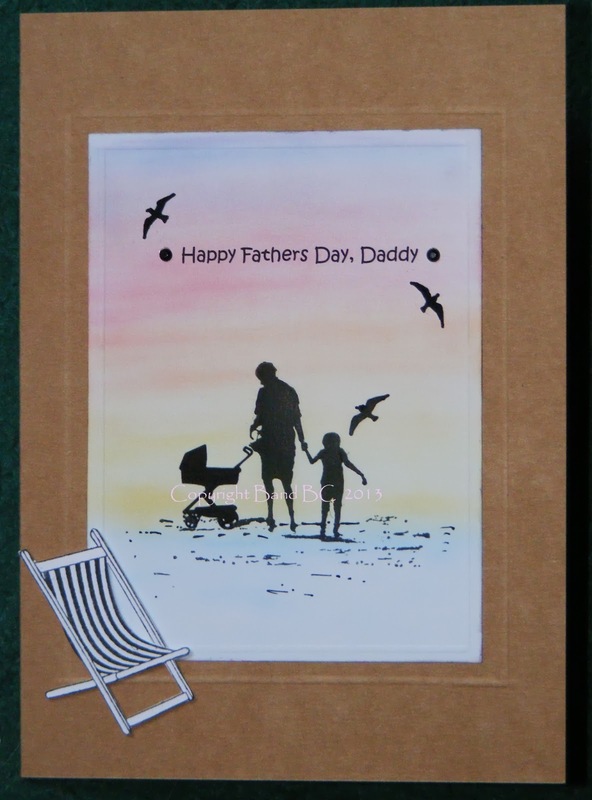 I made this recently for my Dad - for fathers day. 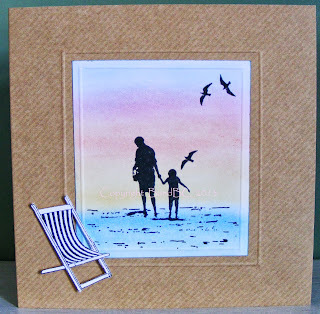 I knew what I wanted to do with this (freebie) stamp, as soon as I saw it! which also came on the freebie stamp set. this was a commission for a friend, for her children to give to their dad. it would fit perfectly with the freebie stamp I had. the word "Daddy" on there. This card is also a lot taller and slimmer than the first card I made (above). These two cards are just great. A relatively simple layout, but beautiful and effective. Perfect for guys. Stunning background and that little buggy stroller is so sweet. The sentiment is beautifully added! Thanks so much for entering Kitty Bee Designs! Two gorgeous cards sure to be appreciated by the recipients. This is so beautifully colored! Mahalo plenty for playing along with us at Kitty Bee Designs' Aloha Friday Challenge! Stunning - such special cards! Stunning cards. Thanks for joining us at Polka Doodles. Love this for a male, I really like how it is not over the top and you can see the image. I think the image is a perfect image for a fathers day card and I am sure it will be very much appreciated. 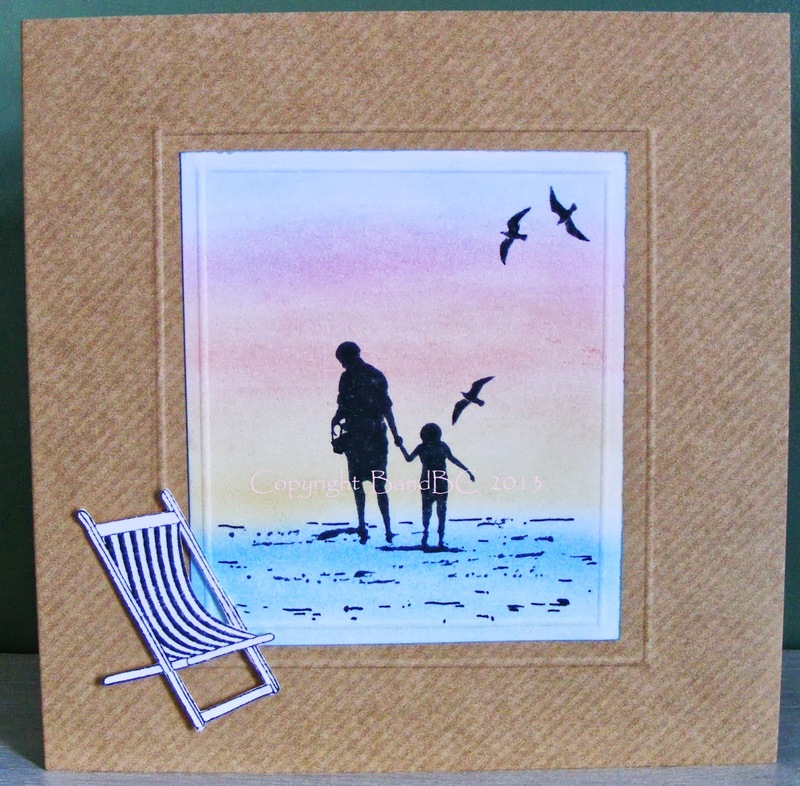 Stunning cards love your layouts. This is just beautiful ... and PERFECT! Thanks so much for joining us at The Sisterhood ‘One For The Boy’s’ challenge and please come back again soon! Love your silhouettes, they are very effective. The texture of your card blank is very nice too. Stunning masculine cards. What lovely cards, so beautiful done and even better that they were based on freebies! Thanks for joining in over at Stamping with the Dragon. So pretty, love the sunset! What a great card. Thanks for joining us at Jellypark this week! 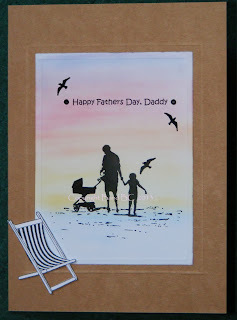 Great cards, love the use of silhouettes, and the integration of the pram is great! Thanks for playing with us at Hobbycutz challenge! I love what you've done with the background on this. Love both the cards and how you did them. The colors in the background are beautiful. Thanks for joining us at Chalk N Stock June Challenge.